Casey Casey, new to our store, is elegant and relaxed, but also comfortable and functional. This collection features navy, midnight, and french blues and black. The dyes are hand washed and dyed to create a subtly unique piece on the beautiful lightweight silky fabric. Along with solid shades, there are a patterns that are wearable and elegantly feminine. Each silhouette is comfortable and relaxed, but entirely versatile to the wearer. 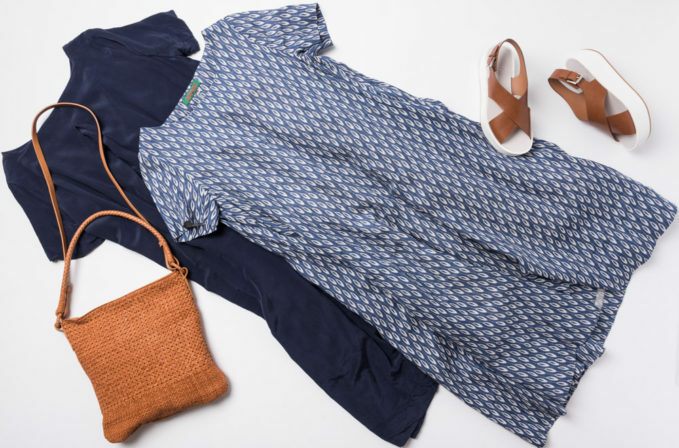 Either the Casey Casey midnight blue or french blue dress would be complete with a Massimo Palomba woven leather brown handbag and Flamingos shoes platform sandals in a brown leather.